Thirty-four years after they first burst onto the music scene; thirty years after they topped the charts with "Come On Eileen"; and twenty-seven years after the release of their previous L.P., Dexys returned in 2012 with a new album. Just four years later they released its follow-up, scoring a top-ten hit in the process. Does this mean that Dexys are back for good? Following the break-up of Birmingham punk outfit The Killjoys in 1978, singer Kevin Rowland (b. 17/08/53) and guitarist Kevin 'Al' Archer (b. 21/12/58) decided to form a nine-piece 'New Wave Soul' group. Their ambitious vision for the group was that they would look and sound unlike any other group around - featuring a four-piece brass section and wearing proto-New Romantic fashions. 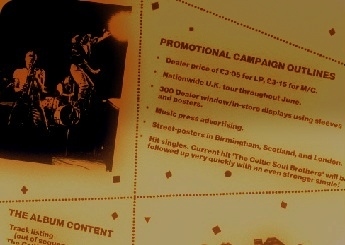 Adverts were placed in local news papers and the lengthy process to find the right personnel began, with bass player Pete Williams from Archer's previous band, The Negatives, together with Hammond organ player Pete Saunders and drummer John Jay being the first recruits. When saxophonists Steve 'Babyface' Spooner and Geoff 'JB' Blythe were joined by trombonist Big Jimmy Paterson and trumpeter Geoff Kent the first line-up of the newly-christened Dexys Midnight Runners was complete. Quickly earning a reputation as a formidable live act playing in and around Birmingham, the early Dexys set featured several Sixties Soul covers including "Hold On I'm Coming", "Big Time Operator" and "Respect". 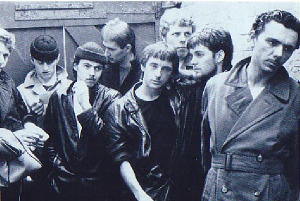 By the end of the following year the group had secured a record deal and a support slot on the Two Tone tour playing alongside The Specials and The Selector. With Bobby 'Jnr.' Ward replacing John Jay on drums and the brass section reducing to a three-piece following Geoff Kent's departure, Dexys adopted a new "Mean Streets" look which featured on the cover of their debut single "Dance Stance". The song, which was a scathing attack on anti-Irish jokes, reached number 40 in the British charts earning the group their first appearance on BBC TV's "Top Of The Pops". Following the arrival of new keyboard player Andy Leek and drummer Andy 'Stoker' Growcott, the ever-changing Midnight Runners adapted their visual image yet again, donning woolly hats and donkey jackets, appearing like a gang of New York dockers. 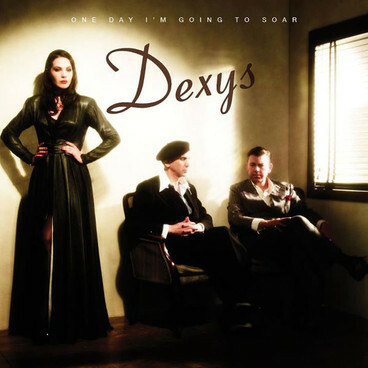 This new-look Dexys hit the top of the British charts with their next release: the irrepressibly catchy "Geno", a celebration of Kevin Rowland's teenage memories of seeing soul singer Geno Washington playing a gig in Harrow "back in '68". By the time Dexys embarked on a gruelling touring schedule with their "Intense Emotion Review" in mid-1980, Andy Leek had departed and Pete Saunders had returned to the fold. This line-up completed the recording of the group's debut album, the classic "Searching For The Young Soul Rebels" with producer Pete Wingfield and created a slice of musical folk-lore when they kidnapped the completed master tapes in order to secure a better deal from EMI. 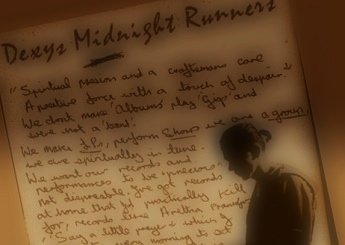 Having fought a major record company and won, Dexys then turned their attentions to the British music press announcing that they would not give any more interviews but instead would communicate directly with fans through a series of 'essays' published in the advertising space of those same magazines. 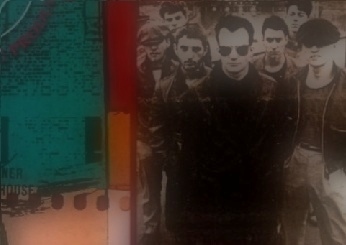 When it was eventually released in July 1980, "Searching For The Young Soul Rebels" and the single "There There My Dear" (another excellent Rowland/Archer composition) both reached the top ten of the British charts but relentless touring and internal tensions were beginning to take their toll on the group. 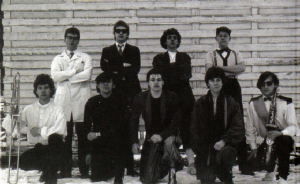 The release of the blatantly uncommercial "Keep It Part Two (Inferiority Part One)" - featuring the newly recruited Mick Talbot on keyboards - as a follow-up single signalled the break-up of the first incarnation of Dexys Midnight Runners with Williams, Blythe, Spooner, Growcott and Talbot leaving to form The Bureau. Rowland, Archer and Paterson auditioned a new line-up of Midnight Runners in late 1980 with drummer Seb Shelton from Secret Affair, saxophonists Paul Speare and Brian Maurice, bassist Steve Wynne and keyboard player Micky Billingham replacing the departed members. With the new personnel came a new look as the group sported hooded tops and boxing boots, underlining Dexys' physical fitness regime (which included regular cross-country runs) whilst emphasising their puritanical stance towards drugs and alcohol. By the start of the following year, Kevin Archer had also decided it was time to move on and form his own group, The Blue Ox Babes, and his place was taken by Billy Adams as the new group recorded their first single, "Plan B". This rousing anthem from the new songwriting partnership of Rowland and Paterson failed to reach the British Top Forty amidst growing dissatisfaction with their record company EMI which had failed to promote the single. The group discovered a loop-hole in their contract allowing them to leave but, without the financial backing of a record company, had to cancel most of the shows in their planned "Projected Passion Revue". Among the few dates to survive, a three-night residency at London's Old Vic theatre produced shows which have been hailed as some of the best live performances of all time. 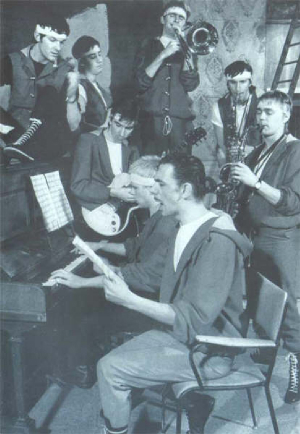 Dexys returned to the Top Twenty with their next release, the upbeat and brilliantly brassy "Show Me" but Kevin Rowland was already planning to replace Dexys' trademark brass-sound with stringed instruments and consequently Paterson, Maurice and Speare were instructed to learn the viola and cello. 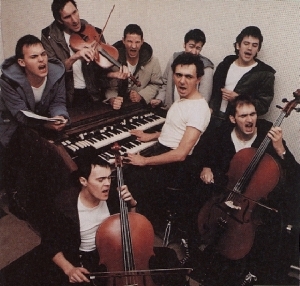 The first result of the new Dexys sound was the single "Liars A To E" (featuring new bass player Giorgio Kilkenny) which failed to capture the public's imagination and stalled outside the charts, but after hearing Kevin Archer's own experimentations with strings, featuring the fiddle playing of Helen Bevington, Kevin Rowland invited Helen to play with Dexys and adopted a similarly folk-influenced sound. Renamed Helen O'Hara and joined by fellow players Steve Brennan and Roger MacDuff, the trio formed a fiddle section called "The Emerald Express" which featured on Dexys' next single "The Celtic Soul Brothers", a British Number 45 hit in early 1982. Feeling that their role in the group had diminished, the brass section of Paterson, Maurice and Speare decided to leave Dexys - agreeing to return temporarily on a session basis to complete the second Dexys album (provisionally entitled "Hey, Where You Going With That Suitcase") - and eventually they re-emerged as The TKO Horns. 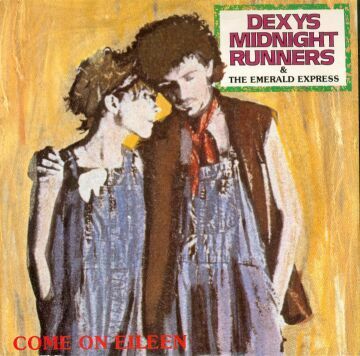 With only Kevin Rowland now remaining from the original band, the story of Dexys Midnight Runners might very well have ended at this point but for the staggering success of their subsequent single release, the fiddle-led frenzy of "Come On Eileen". Accompanied by a new 'gypsy-style' visual image complete with dungarees, torn clothing and unkempt hair, the new sound and look proved surprisingly commercial in an age dominated by synthesisers and New Romantic fashions. Despite a slow ascent up the British charts, once "Come On Eileen" reached the number one position it stayed there for four weeks, becoming the best-selling single of 1982 and assuring that the album - by this point retitled "Too-Rye-Ay" - was a similar success. Dexys soon returned to the Top Ten with a lively cover of Van Morrison's "Jackie Wilson Said (I'm In Heaven When You Smile)" before embarking on "The Bridge" tour with Johnny Edwards replacing Kilkenny on bass and Andy Hamilton, Nick Gatfield and Spike Edney forming the new brass section. The double A-side, "Let's Get This Straight (From The Start)/Old" saw the group enjoy yet another British Top Twenty hit at the end of 1982 and also marked the departure of Micky Billingham who joined ex-Beat members and former Midnight Runner, Stoker in General Public. Following regular video broadcasts on MTV, the huge success of "Come On Eileen" was repeated in The United States a few months later, bringing the group global acclaim which had seemed scarcely possible a year earlier. The re-issue of "The Celtic Soul Brothers" in Britain during the spring of 1983 maintained Dexys run of chart success but it was the track's B-side "Reminisce Part One" with its spoken dialogue and unconventional song-structure which pointed the way for Dexys next reinvention. Two years (and several studios and producers) later Dexys finally re-emerged with a brilliant new album, "Don't Stand Me Down" and the customary new image, this time based on the 'Ivy League-look' of American college students, but dismissed by some in the media as a 'double-glazing salesman look'. The new nucleus of Rowland, Adams and O'Hara, accompanied by previous Dexys members Gatfield, Edwards, Paterson and organist Robert Noble (who had joined during the latter stages of "The Bridge" tour) were augmented during the album sessions by several seasoned players including pianist Vincent Crane (ex-Atomic Rooster), Al Green's former drummer Tim Dancy and Julian Littman on mandolin. With its elongated songs (including the 12-minute epic "This Is What She's Like"), unusual arrangements, strong political content and dead-pan comedy conversations between Rowland and Adams, "Don't Stand Me Down" either delighted or baffled those who heard it in 1985, but the decision not to release a single ensured that it was overlooked by most at the time. The "Coming To Town" shows which followed featured organ player Mick Bolton (pianist on some of the the album's early sessions) along with new recruits Pol Coussee on saxophone, Fayyaz Virji on trombone, Penn Pennington on pedal steel guitar, Jerry Preston on bass and Jerod Minnies on electric guitar. Although this proved to be a formidable live unit, the album's lack of chart success (despite the belated release of "(An Extract From) This Is What She's Like" as a single) meant that this line-up was never able to realise its potential and split after the tour ended. Following its use as the theme tune to a BBC sit-com called "Brush Strokes", the "Don't Stand Me Down"-era composition "Because Of You" was released as a single and returned Dexys to the Top Twenty late in 1986, but although Adams and O'Hara featured on the song's video, Kevin Rowland performed it unaccompanied in the "Top of The Pops" studio and by the start of the following year he had decided to go solo, signalling the end of the first Dexys Midnight Runners era. Having experienced limited success with his first solo offering, 1988's "The Wanderer" and succumbing to a drug addiction, Kevin Rowland - together with long-time right-hand man, Jimmy Paterson - attempted to resurrect Dexys Midnight Runners in the early Nineties. 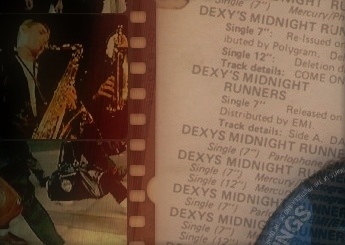 Although several demos were recorded including such titles as "My Life In England" and "Coming Home" the only public airings of the new Dexys material were the performances of "Manhood" and "If I Ever" on Channel 4's "Saturday Zoo" in March 1993 and the planned new album never emerged. When Kevin Rowland signed a record deal with Creation in 1997 it was reported that his solo album "My Beauty" would be followed by a new Dexys album but the demise of Creation shortly after the album's release meant that this never became a reality. Eventually in 2003 Dexys Midnight Runners did return with two new tracks (updated versions of "Manhood" and "My Life In England") and an almost entirely new line-up for a critically acclaimed tour of Britain and Scandanavia, entitled "To Stop The Burning". Alongside Rowland and former Midnight Runners, Mick Talbot and Pete Williams (this time featuring as a joint lead vocalist), violinist Lucy Morgan, guitarist Neil Hubbard, bass player Julian Crampton, drummer Crispin Taylor, keyboard man Volker Janssen and ex-Bureau trombonist Paul Taylor made up the latest incarnation of Dexys Midnight Runners. 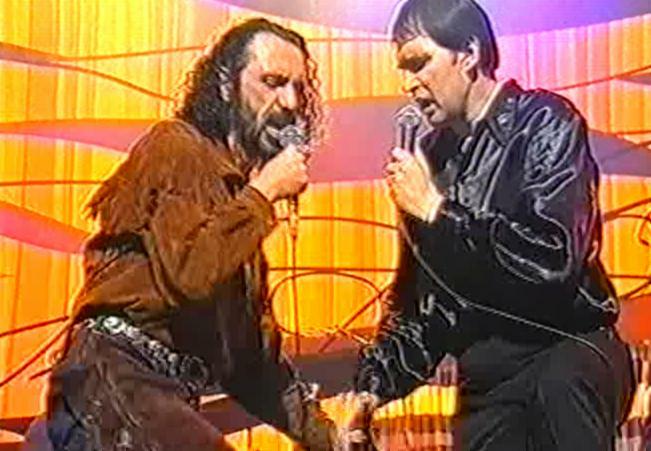 An almost inevitable hiatus followed this flurry of activity with constant rumours that new material was in the pipe-line which would see Dexys return once more. These rumours seemed to be confirmed when Kevin Rowland announced on Radio 2 that Dexys were back in the studio working on a new album in June 2005 but all that emerged at the time was a demo entitled "It's OK, Johanna" which featured on Kevin Rowland's 'My Space' webpage. Finally - after another delay lasting longer than the career of most groups - a Dexys line-up featuring Kevin Rowland, Pete Williams, Mick Talbot, Lucy Morgan and Big Jimmy Paterson returned in May 2012 with a series of live shows previewing material from their new album "One Day I'm Going To Soar". The shows, which introduced new recruit Madeleine Hyland as co-vocalist and Kevin Rowland's "love interest" on several songs, were greeted by standing ovations and five-star reviews. The subsequent album, including reworkings of songs created for Dexys' aborted return in the early 90s alongside more recent compositions, received a similarly enthusiastic response from fans and critics upon its release on June 4th. Improbably or inevitably - but undeniably - Dexys were back! 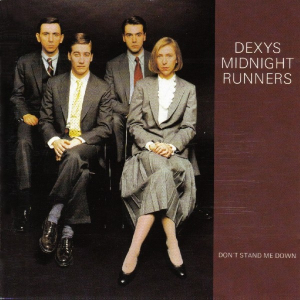 For once Dexys didn't "do a runner" after this latest return and followed the album's release with extensive touring and festival appearances - including their debut at Glastonbury. The theatrical live performances were subsequently captured for release on the album and DVD, "Nowhere Is Home". A film of the same name was also produced and was screened at Vue Cinemas around the country before gaining its television premiere on the BBC. Eventually in June 2016 a newly recorded selection of cover versions, "Let The Record Show Dexys Do Irish And Country Soul" was released. This album, based on an abandoned plan from the mid-Eighties to release a collection of Celtic compositions called "Irish", became a commercial hit, reaching the top-ten of the album charts and gaining wide-spread air-play and coverage in the media. This time it seems as though Dexys might actually be back to stay! 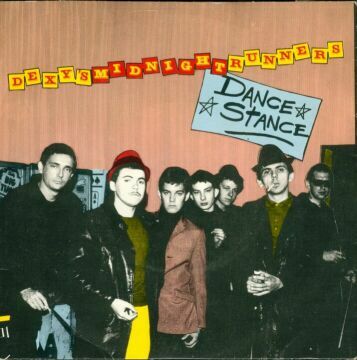 Chronological lists of all singles and albums released by Kevin Rowland and Dexys Midnight Runners - including details of all known promos, foreign pressings and rarities. 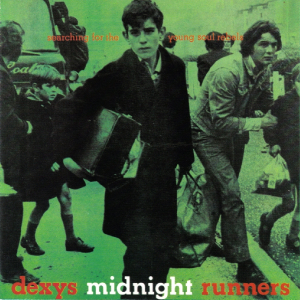 A chronological list of the events which have shaped the history of Kevin Rowland and Dexys Midnight Runners including gigs, releases, press announcements, etc. A selection of pages, features and lists of all things Dexys-related, including details of Dexys line-ups, rarities, cover versions, live shows, ever-changing sounds and Dexys lyrics. A Selection of biographies and discographies of all the groups and artists with Dexys connections including The Killjoys, Bureau, Blue Ox Babes and These Tender Virtues. 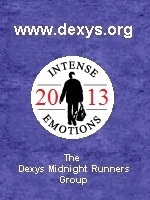 This site now contains over 90 pages of Dexys-related features! "Off The Record" - an exclusive review of the last Dexys album.